Established in 1989, Premier Health Products is a successful family-owned business which supplies Food Supplements to the UK and Worldwide export markets. We have an exemplary quality and safety record and a focus on excellent Customer Service. Our purpose-built UK manufacturing facility is located in Coventry, England, and is run to all applicable EU standards of quality and Food Safety. We carry a wide and varied Food Supplement portfolio, comprising of Vitamins, Minerals, Botanicals, Sports Nutrition and all the latest Food Supplements in tablet, softgel and hard-capsule formats. We have a rapid turnaround-time for most of our orders, and our Customer Service and Product Technical Support teams are friendly, very efficient and knowledgeable in all areas. Premier Health Products true specialty is in supplying Vitamins & Food Supplements to independent pharmacies and small-to-medium sized chains. We can also offer the finest and most extensive 'no-commitment' Own-label range in the country for this purpose. We operate from our purpose-built UK facility where we have capability to easily manufacture around 6.5 million finished-product retail packs per year. Our flexible, scalable packing facility allows us to deal with a wide range of customers and their varied demand-requirements, from our minimum runs of a few hundred, up to customer orders of many thousands of singles. Alongside our own-label operation we also offer Basic Nutrition - an established UK brand of Food Supplements. In recent years Premier Health Products brand Basic Nutrition has risen to prominence as a widely recognised and popular value range - most recently promoted internationally at Arab Health 2014 and Africa Health 2015 in Johannesburg, South Africa. In January 2016 we'll be returning to present Basic Nutrition at Arab Health 2016 in Dubai, UAE. 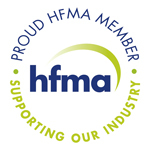 the UK Health Food Manufacturers Association.